For a child to grow into a mature Christian it takes more than a good Bible class curriculum, a prepared and competent teacher, and a couple of hours of Bible class each week. The most important factor in a child’s spiritual development is what we will call the Parent Factor. The parent is the one, who helps their child gain the most from good Bible class curriculum, excellent teachers, and the benefit of scheduled bible class with the church. Here are six ways you can be the Parent Factor and help your child gain the most from Bible class. Know what your child is learning. You can’t help your child get more from their bible classes if you don’t know what they are learning. This can be done several ways. First, get involved by talking to your child’s teacher before or after class to gain a perspective on the material/story that was covered. Second, pay attention to the take homes your child brings to you after class. These are valuable in helping you learn what your child was taught and they reinforce the child’s memory of the lessons. 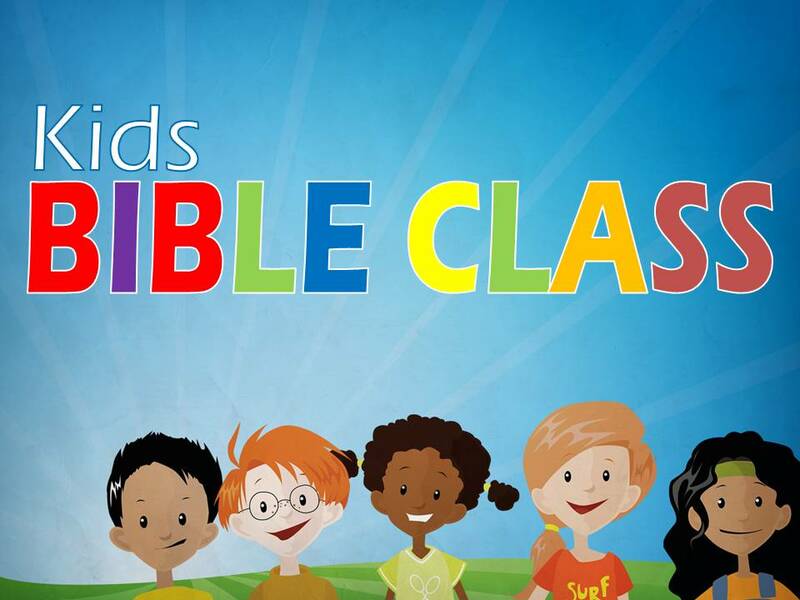 When reviewing your child’s bible class lessons, ask open-ended questions. When helping your child review their lessons it’s important to ask the right kind of questions. Use open-ended questions that have your child recall information they learned instead of closed-ended question which only require a “yes” or a “no” answer. If your child’s teacher told you that they talked about Noah building the ark, some good questions for your child would be “Who built the ark?”; “Why did Noah build the ark?”; “What did Noah put in the ark?”; etc. Open-ended questions are a great way to help your child remember their bible class material. Have a consistent time for bible study at home. Having a consistent bible study time at home works well for teaching your child the importance of studying scriptures outside of the assembly. Use extra lessons from church as your material. This provides you an opportunity to follow along with your child’s class and helps to reinforce lessons learned. You can keep your child’s take home activities each week and put them in a binder or scrapbook to use as visual prompts to help your child recall bible stories that have been covered. Plus it also makes for a great memory book later on for both you and your child. Use songs to teach your child important bible concepts and facts. Learn the songs that your child sings in bible class and teach them some new ones. Teaching children songs help them to remember bible passages (The Wise Man Built His House Upon The Rock); bible concepts (O Be Careful Little Eyes); and bible stories (Zaccheus Was a Wee Little Man). Once you know the songs, sing them with your child. Sing them in the car; when you’re walking; when you’re playing; sing them all the time. By doing this you will help build your child’s faith in what they are learning by showing them that the bible and its lessons are not just for church, but for all times. Read bible stories to your child with inflection. Read them with voices for each character, and with voice inflections for different phrases. Young children need help in visualizing what is being read to them. This is why we use pictures in teaching them bible stories. In the same way you can to use distinct voices for each character and good inflection for statements when reading to them. This helps your child better understand what is being read because the stories come alive with the depth and richness of sound. By bringing bible stories alive your child will be able to better remember them. Pray about it. The foundation of all that we do should be prayer. Pray for your child’s bible class teacher. Pray for your child. Pray for yourself. And pray with your child that God will grant both of you wisdom and understanding of His word. The first five points will help your child remember their bible class material but they will work more effectively when coupled with prayer. Don’t ever doubt the Parent Factor in a successful Bible class program. Parents invest a lot to help children gain the most from Bible classes. The teachers appreciate. The children grow by it. God is glorified through it. So parents, make the difference. Be the defining factor.